to the Scotland team: "He is a real Scotland player who will fight until he drops." 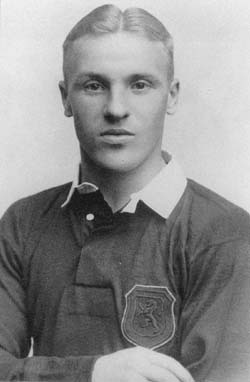 Preston North End's correspondent, Walter Pilkington, wrote at the end of Shankly's debut season in 1934: "I was returning by train from a match at Plymouth in a 'sleeper', with Bill Shankly and Jimmy Dougal as bunk companions. I asked Bill what he wanted most: 'To play for Scotland, sir' he replied without a moment's hesitation." Shankly was first selected to play for his country on 9th April 1938 against the auld enemy England at Wembley. Scots won the match 1-0 with a late goal from Tommy Walker. He won 4 further caps before war broke out, playing against Northern-Ireland, Wales, Hungary, and England once more. "It's fantastic. You look af your dark blue shirt, the wee lion looks up at you and says 'Get out after those English bastards!'" 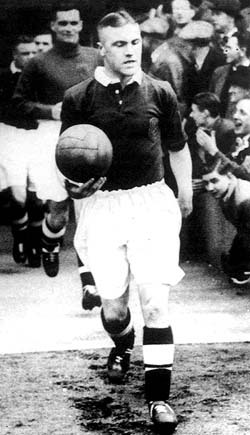 During the war, Shankly played a further 7 times for Scotland, captaining them against England in a 3-1 defeat at Hampden on 3rd of May 1941 in front of 78,000 fans. 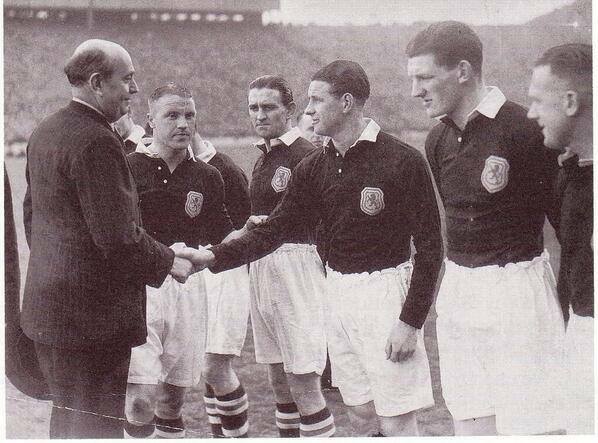 Shankly featured in the game Billy Liddell made his debut for Scotland in a dramatic 5-4 win at Hampden Park on 18th April 1942. Shankly played a big part and scored a memorable goal, which turned out to be his only goal for Scotland: "Jack Harkness gives Billy Liddell and Jock Dodds a big hand for their part in Scotland's shock win. But the inspiration, he says, came from the Busby - Shankly victory service... And amongst all these great goals we had probably the strangest national goal ever. Here's a goalkeeper, the hero of his side, losing a goal from 50 yards range. Willie Shankly was the devil in the piece. He placed a beautiful shot goalwards. Out came Marks to collect. Suddenly he stopped. In a twinkling he had the old saying brought home to him - "He who hesitates is lost." The ball bounced on the ground, sailed over his head, and into the empty goal." (Reported by Jack Harkness at Hampden Park). *Shankly's international record for Scotland reads 5 games and no goal. His 7 wartime games and 1 wartime goal are not counted towards his total. "Bill depended a lot on Bob. They were like the terrible twins when they got going. I think Bill needed Bob. I think he calmed him down a bit."